Why not try our brand new Waterzorb Sausage? It's a double zorb, very similar to our Waterzorb balls but elongated in a sausage shape - and two riders can (at last!) safely zorb at once. Unlike our Water-rollers which are also two-man, you can tip a Waterzorb Sausage up on end with a bit of teamwork! Highly recommended for older riders looking for something really quite challenging - and spectators looking for something large, eye-catching and really very funny!!! Waterzorb Sausages can be run on our inflatable pools alongside Waterzorbs or Water-rollers - or both! Call us to arrange a mixed booking of varied waterzorb toys - all different but all challenging and great, great fun!!! 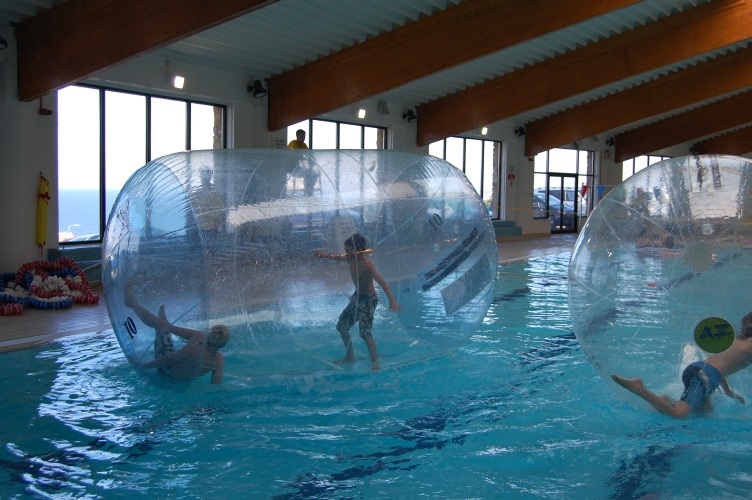 Call The Zorb Zone to book now! The Zorb Zone operates throughout the UK and the Isle of Man and carries full Public Liability Insurance.